Winter over at No Drama Little Mama nominated me. She lives on this amazing island in New Brunswick. I’ve been living vicariously through her island life for at least a year now. Make sure to stop by and check her out. I had no idea what any of this entailed until she asked if she could nominate me, but now that I do, it’s such a fun way to build a community and learn about one another. I recently joined SITS and was grouped with a wonderful group of women who are looking to build their niche in the blogging world. Through this, I hope we’ll be able to learn more about one another and building our brands. 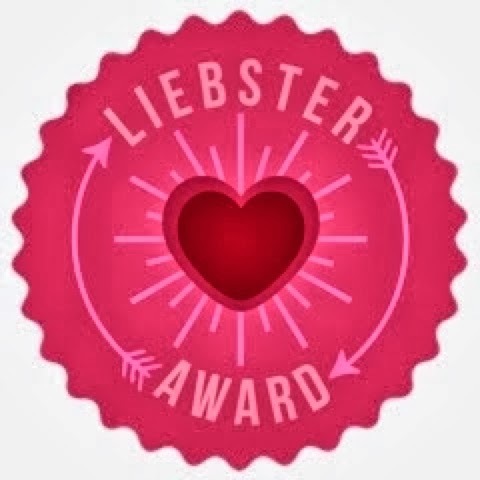 The Liebster Award is the perfect way in doing so. How it works: You give 11 random facts about yourself and answer 11 questions from the blogger who nominated you. You then nominate 11 other bloggers (with less than 200 followers) and give them 11 questions to answer. 1. I hate the little red notification number that pops up on social media, my phone, email, etc. Due to this, I always am connected so the number doesn’t show. However, I often do a click until it’s gone and then forget about it later. This may be why I’m REALLY bad at returning email and phone calls. 2. Arithmophobia is a condition I’ve suffered from for as long as I can remember. It is the fear of odd numbers. Up until this year, I was crazy about odd numbers and their bad luck. Then Henry was born on 2.13.13 and I’ve decided 13 is the only acceptable odd number. My phobia is so deranged that the TV volume is always an even number, I cut food into even numbered pieces, etc. 3. I have a HUGE fear of wetting the bed. This often means I go to the bathroom at least four times within the hour before crawling into bed. It would be far too embarrassing to pee the bed as an adult. 4. Reading is a great past time for me, but if the book doesn’t get me from the beginning I put it away for awhile and maybe will come back to it one day. Currently I’m reading five books because of this. 5. I drink a half gallon of water a day to help my heart’s irregular beat. Days I don’t drink it, I feel sluggish. 6. Blogging is something that I started for fun and never realized that I’d find joy and relaxation in doing so. 7. My memory is horrible and I’m a procrastinator. The two of those do not go well together. 8. I have a serious obsession with fast food. There is something about it that I love. Even though I know it’s horrible for you and none of it is real food, I love it. 9. As a kid I wanted to be a boy so bad. My clothes, haircuts, all of it were boy. I even tried to pee like a boy! When people asked what I wanted to be when I grew up, that’s what I’d tell them. Pretty sure I’ve grown out of that phase, but I may still have some boy tendencies. 10. Rice and beans are so delicious that I could eat them all day everyday. 11. The idea of lots of babies sounds really awesome. Who doesn’t want a big house with children running around. However, I’m convinced hell will freeze over if I have them. 1. Do you prefer sweet or salty? Both! Snacks are my downfall. 2. Where does your dream vacation take you? To the Winter Olympics or even the Summer Olympics. We’re winter people, but in reality we really love the Olympics in general. 3. Top thing on your bucket list? Swim with the dolphins, hands down. Not at Sea World either. 4. What’s a skill you wish you had? Any athletic talent. I have two left feet and no coordination. That’s hard. There are so many. Sophia Kinsella is my favorite fun author. I love her style and way with making anything funny. 6. What is your biggest fear/phobia? 7. Favourite actor you love for their acting, not looks. 8. Are you a good sleeper? Do you need things like white noise, ambient light? Sleeping is something I should get paid for. I can sleep anywhere, anytime. I have been known to fall asleep while at sporting events, concerts, always in the car, etc. Sometimes you just need a nap. 9. Favourite subject from grade school? I LOVE TV. Someone should really pay me to watch and then blog after. Scandal is probably my most favorite at the moment. I make sure to watch that in real time each week. 1. What would you do with a day to yourself? 4. Favorite beverage (alcoholic or non). 5. Do you prefer text, email or the good old fashioned phone call? 7. What is your least favorite house chore? 10. What food could you live off forever? This award is for bloggers who have less than 200 followers. It works like this: you start by being nominated by a fellow blogger who likes what you have been posting, then you tell 11 random facts about yourself, and answer 11 questions. You then get to nominate 11 fellow bloggers and give them 11 questions to answer. Have fun and comment below when you have re posted I cannot wait to see who you all nominate! 13 was never a favorite number of mine until my kids were born — one in room 13 at the hospital and on on the 13th. I am the same way with reading books!! Also the procrastination and terrible memory haha. It gets me into trouble sometimes!! This is such a cute idea!! I love it. Thanks for nominating me 😉 Can’t wait to do it. I really hate odd numbers too…but I don’t know how many I cut my food in. I change the volume to even or multiples of 5.